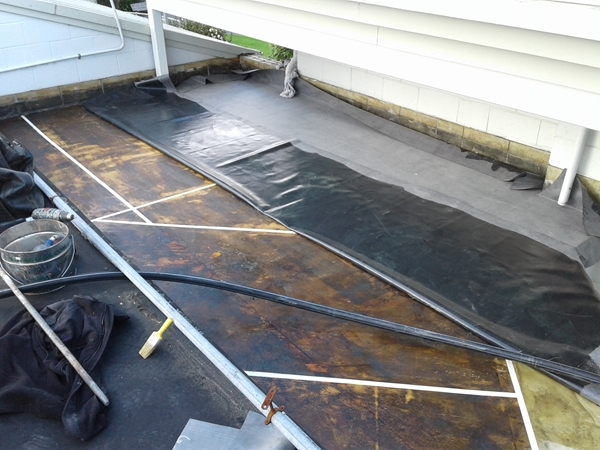 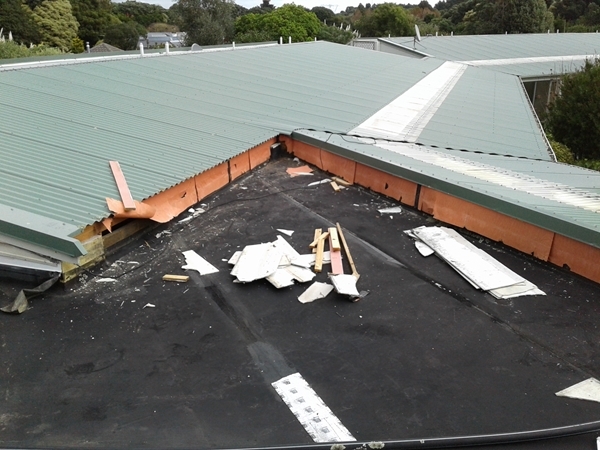 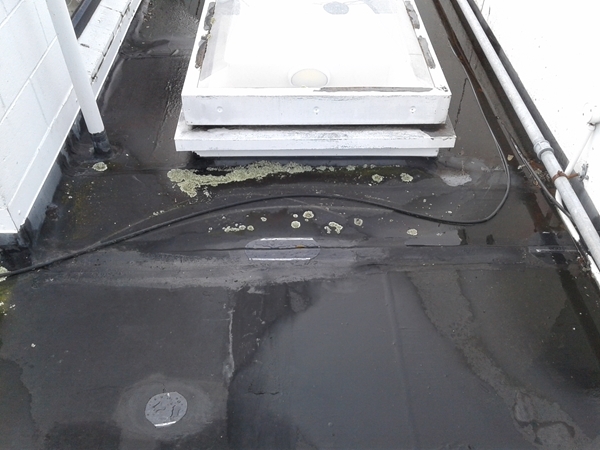 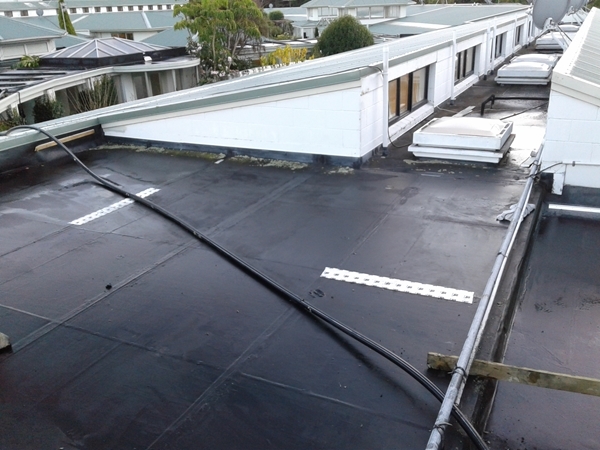 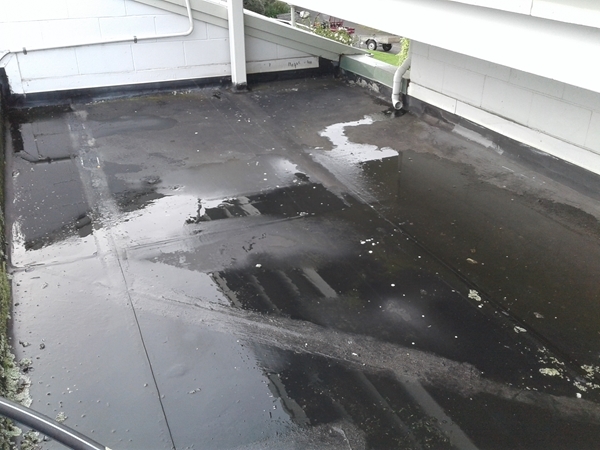 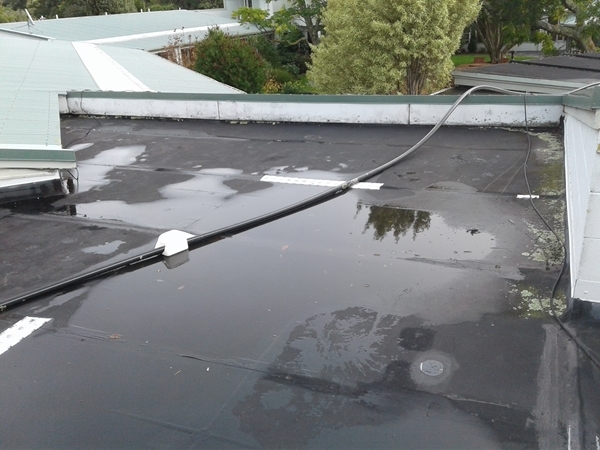 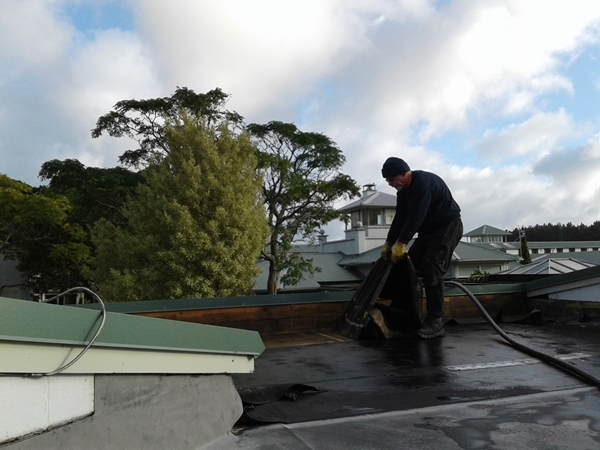 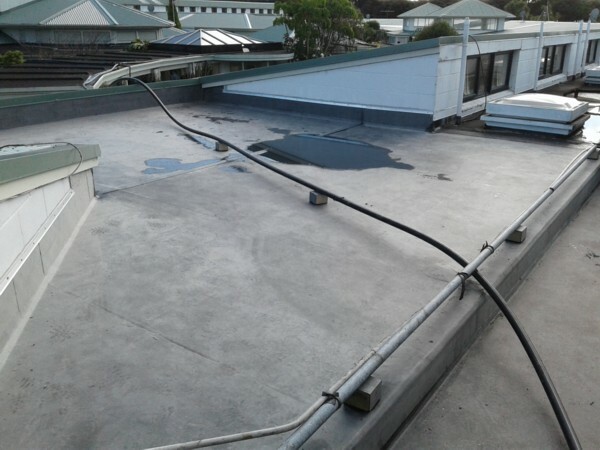 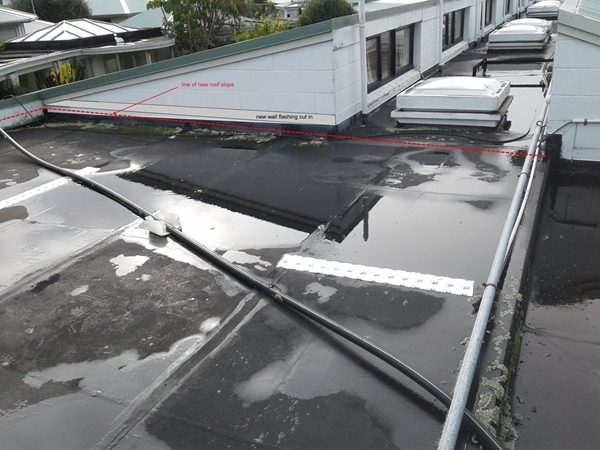 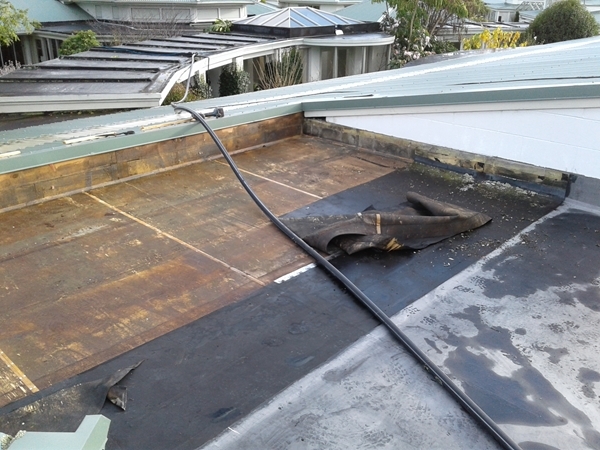 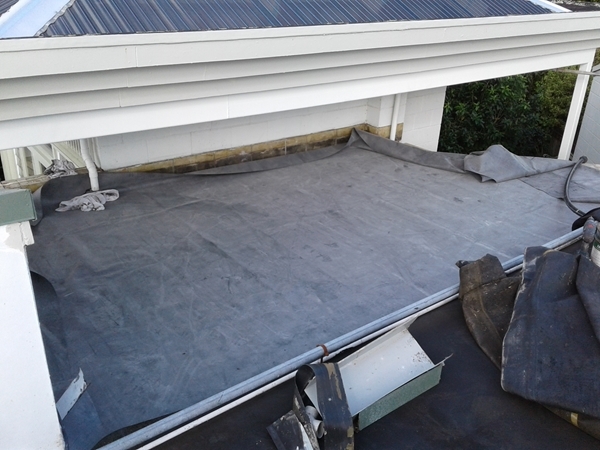 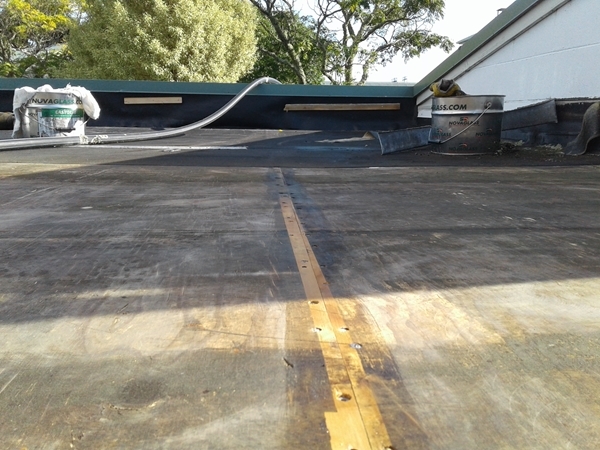 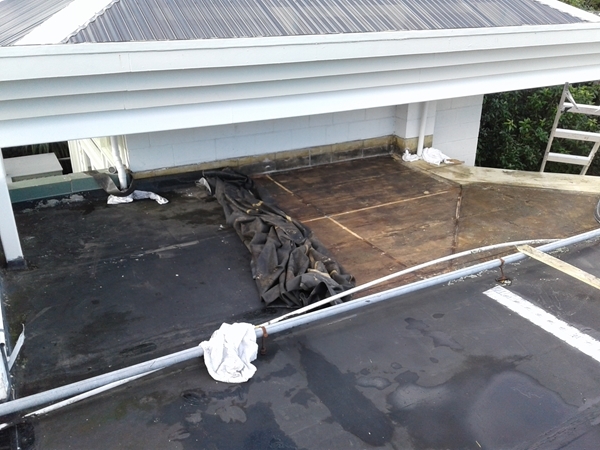 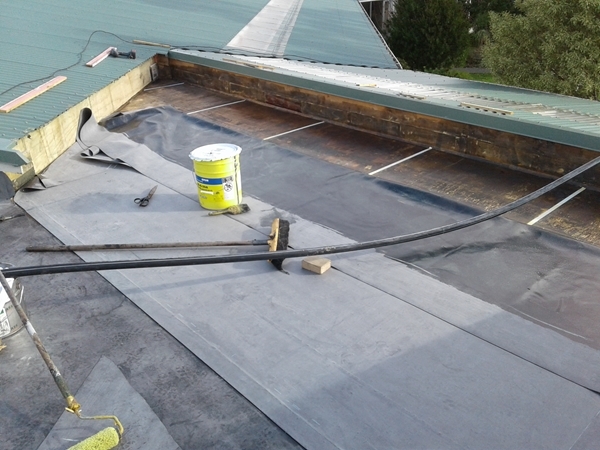 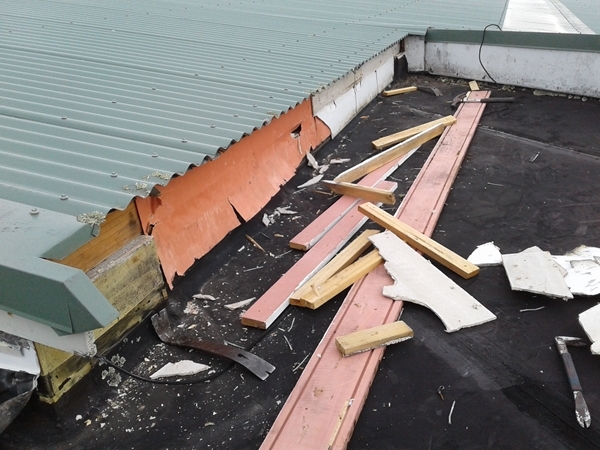 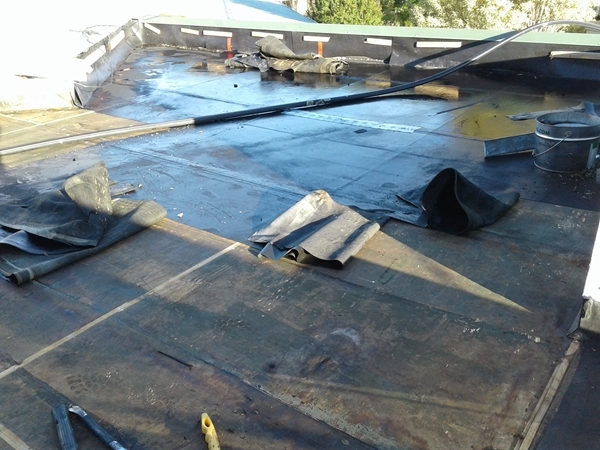 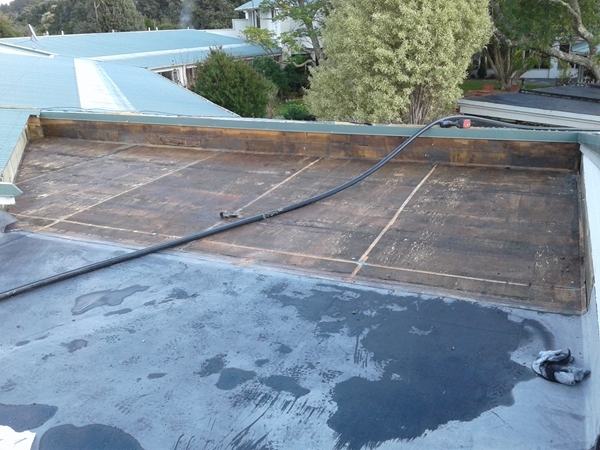 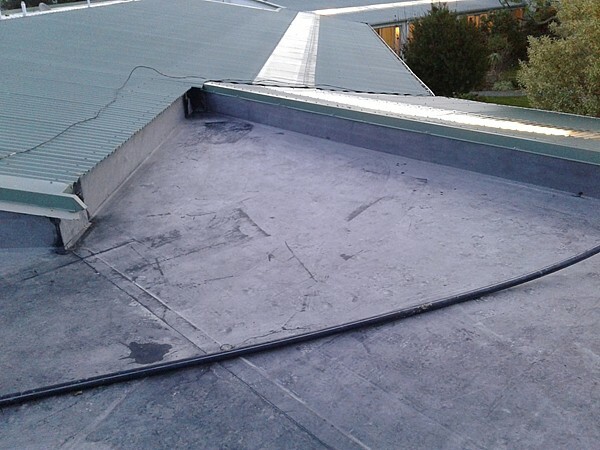 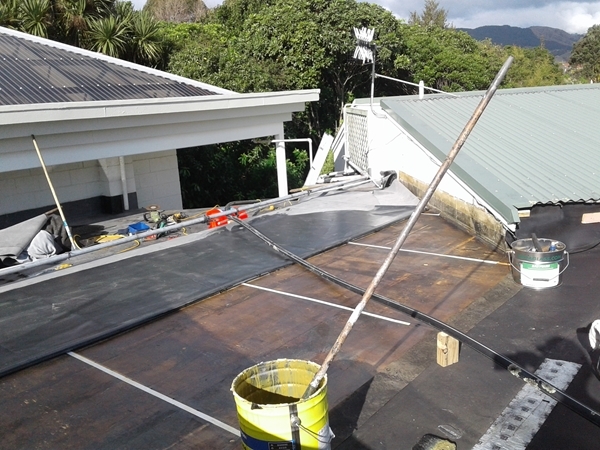 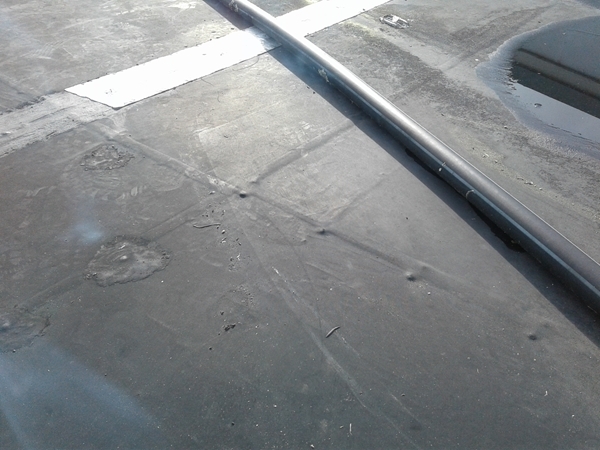 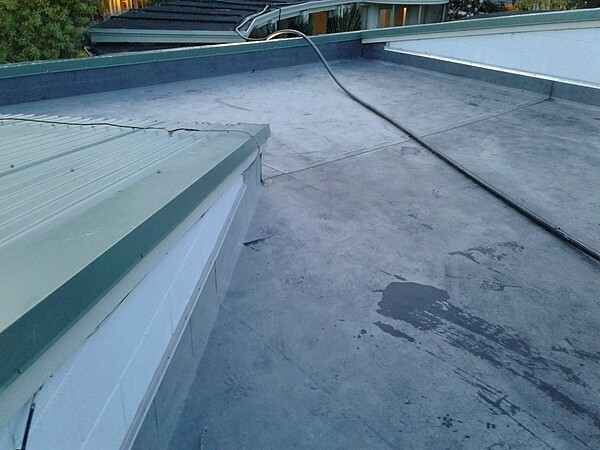 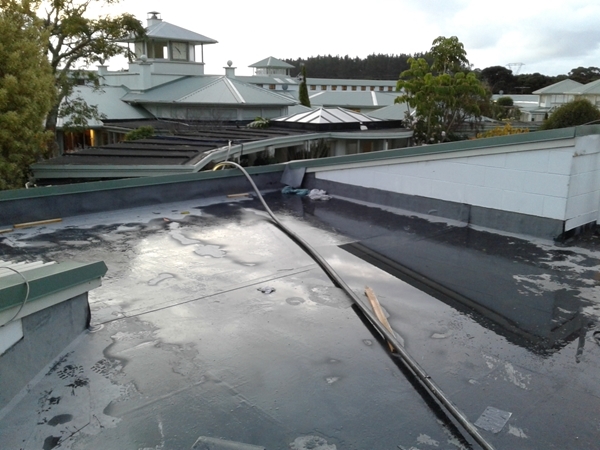 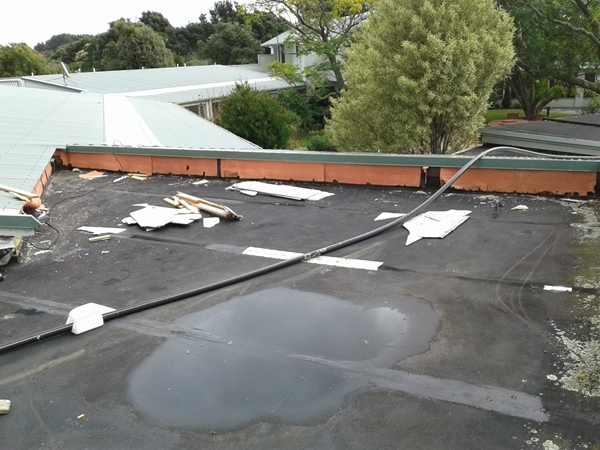 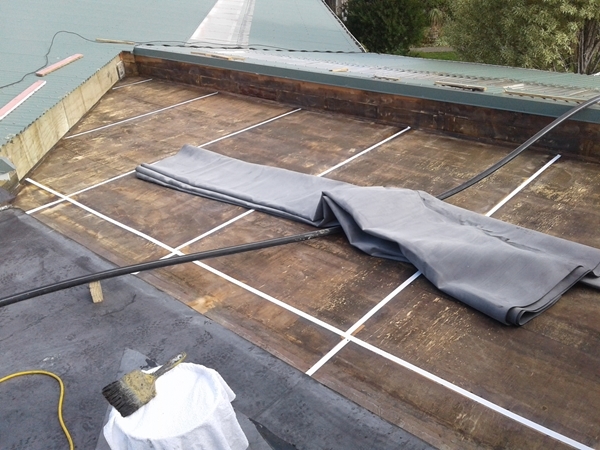 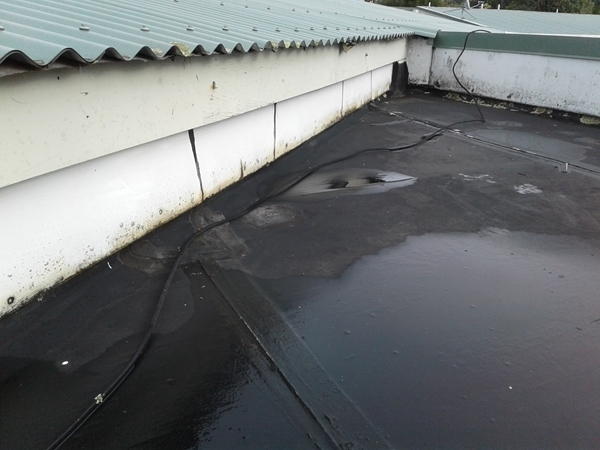 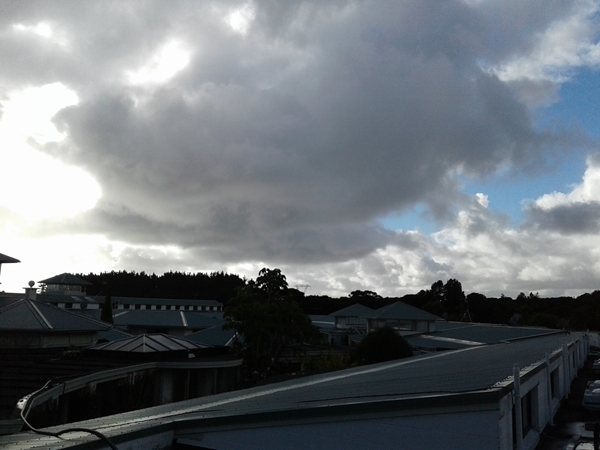 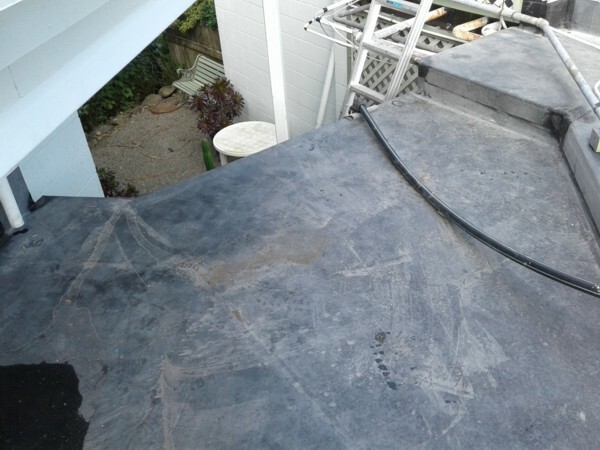 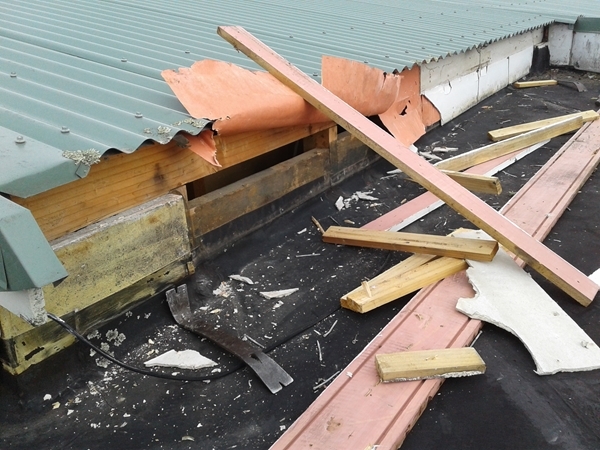 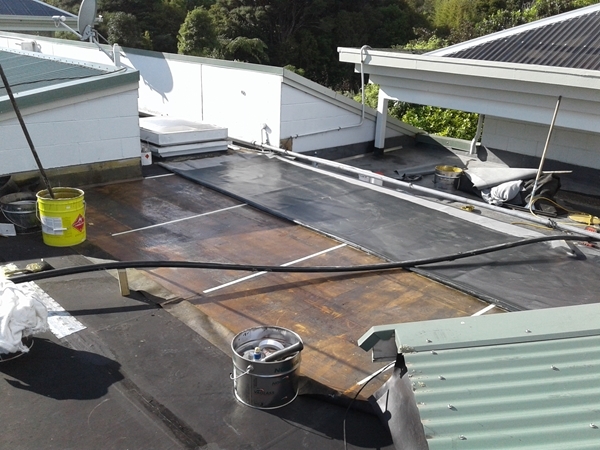 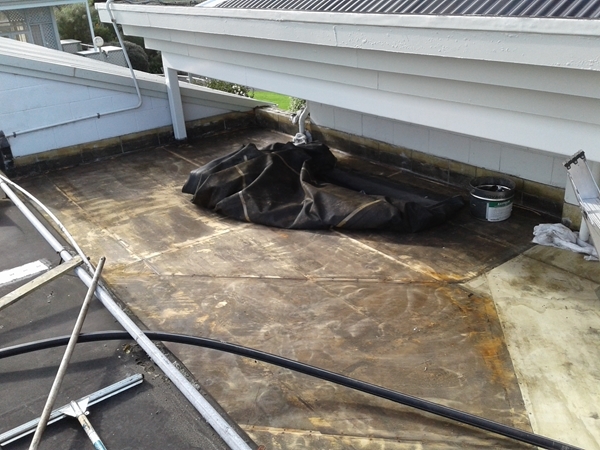 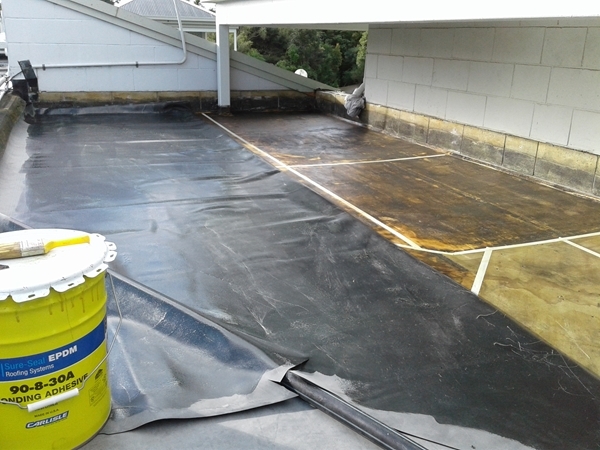 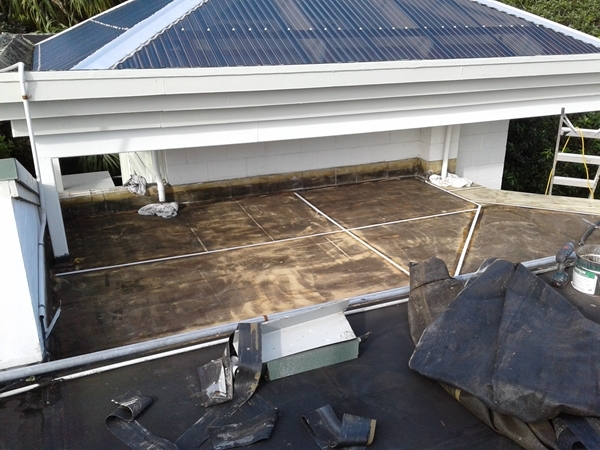 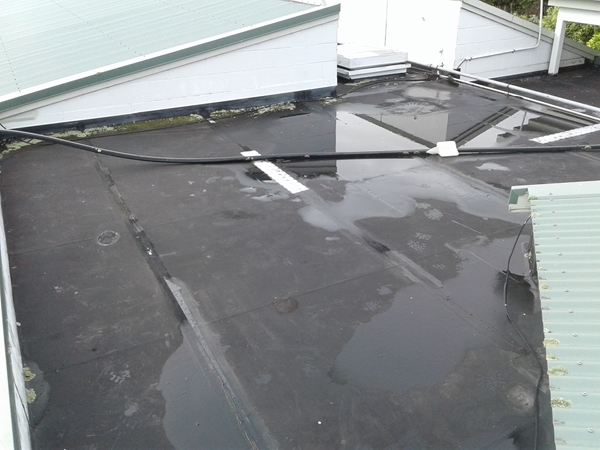 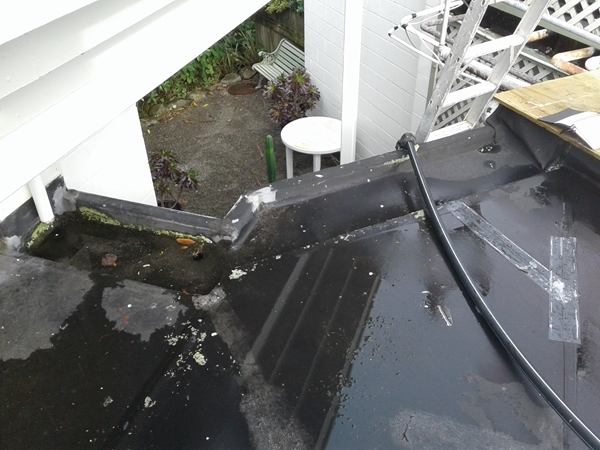 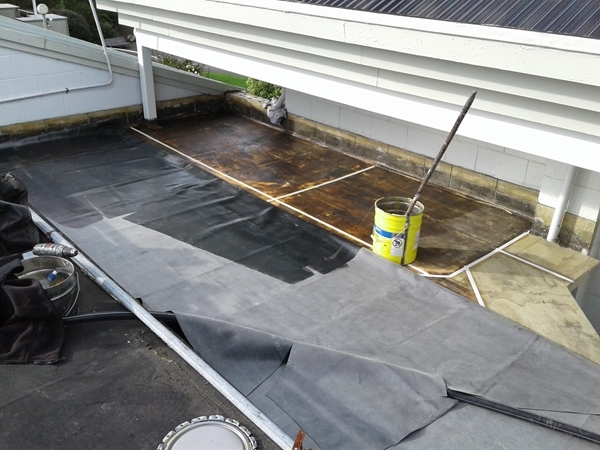 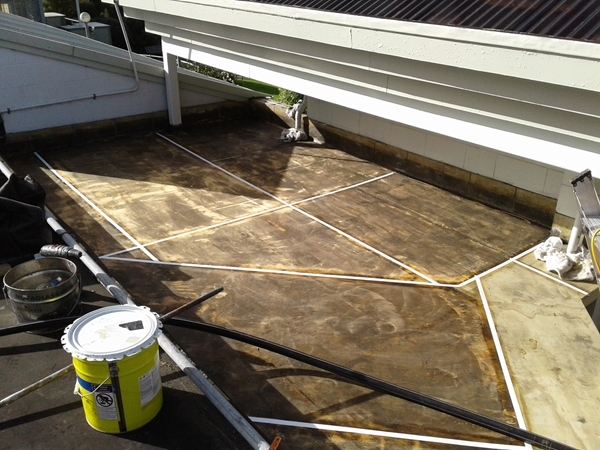 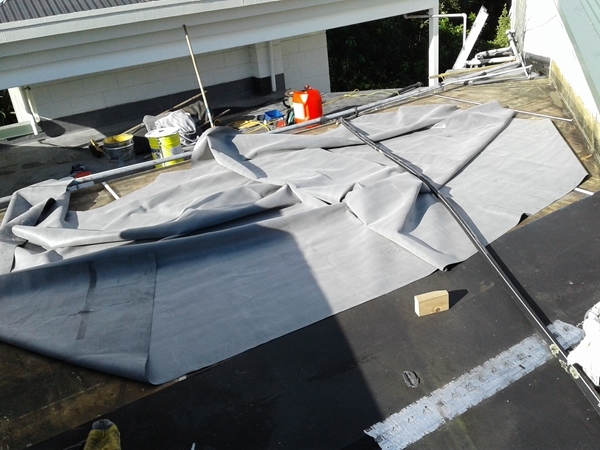 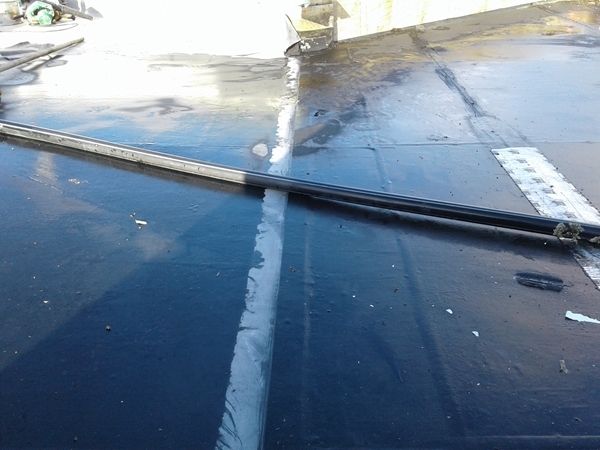 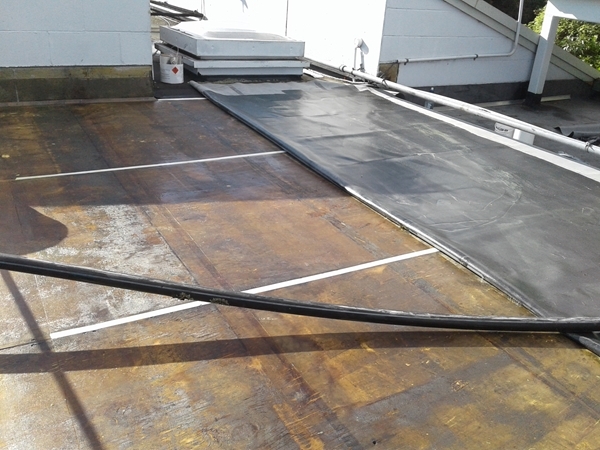 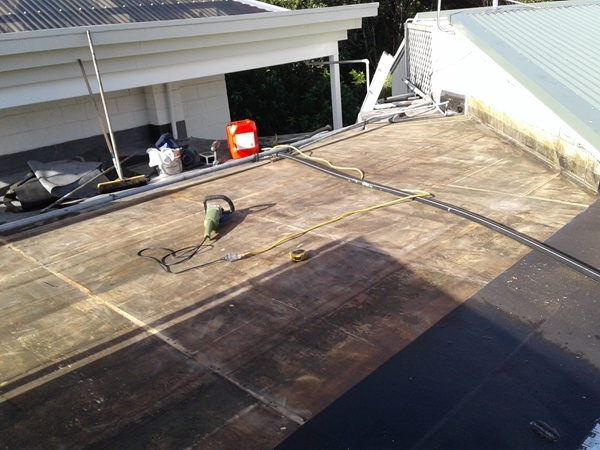 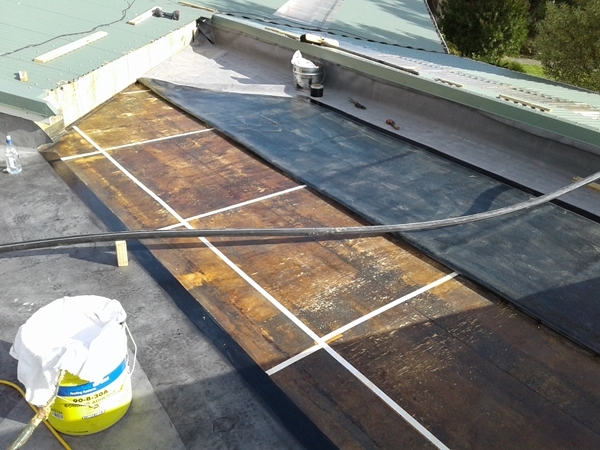 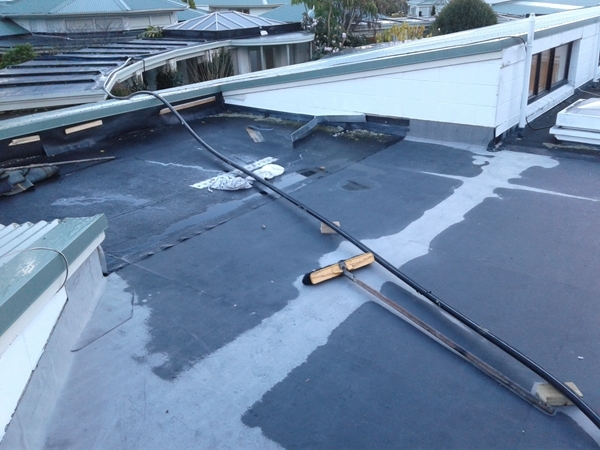 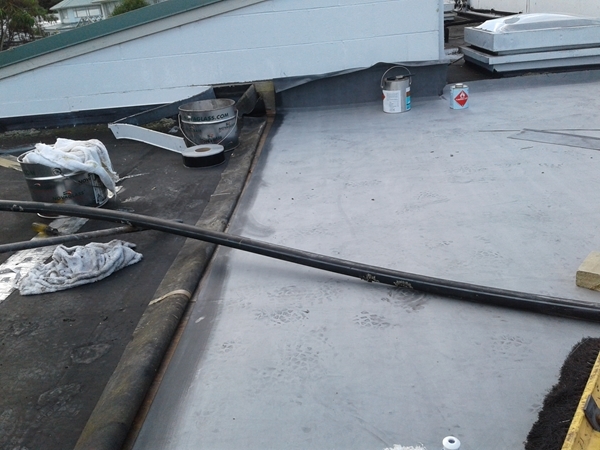 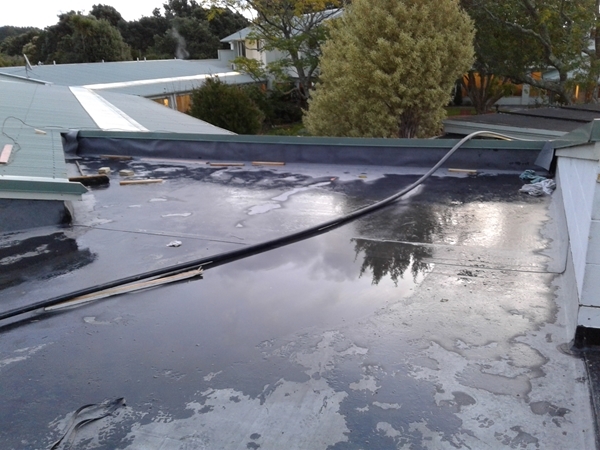 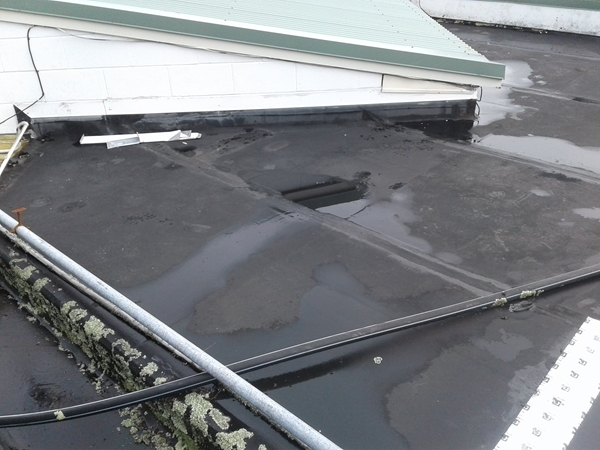 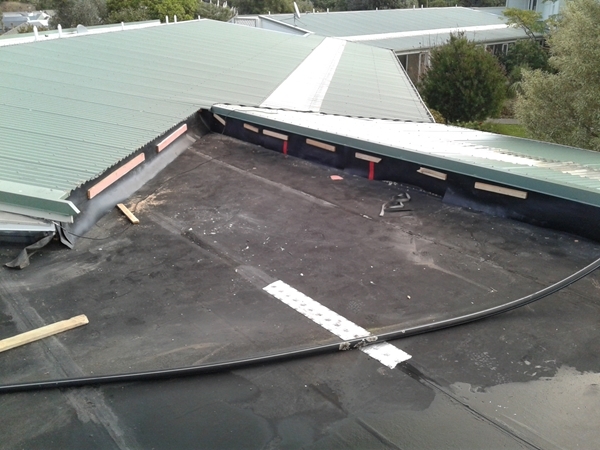 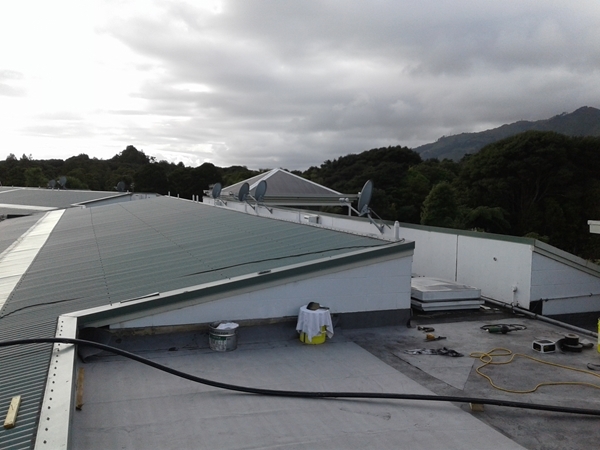 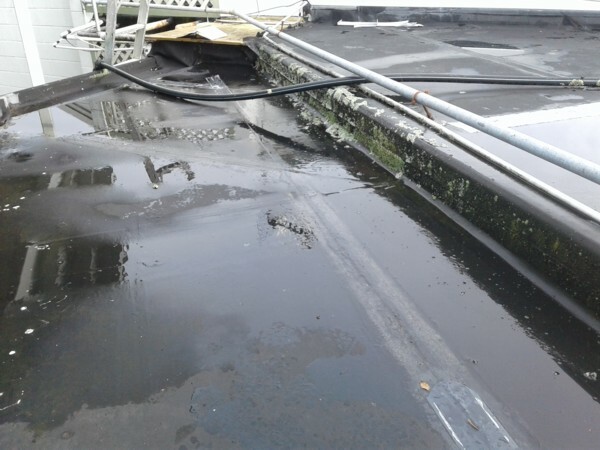 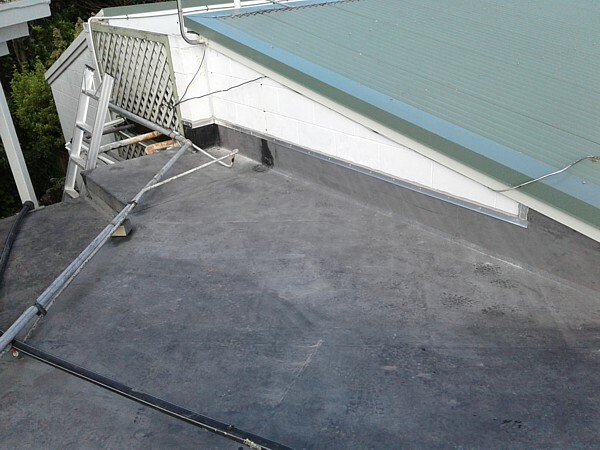 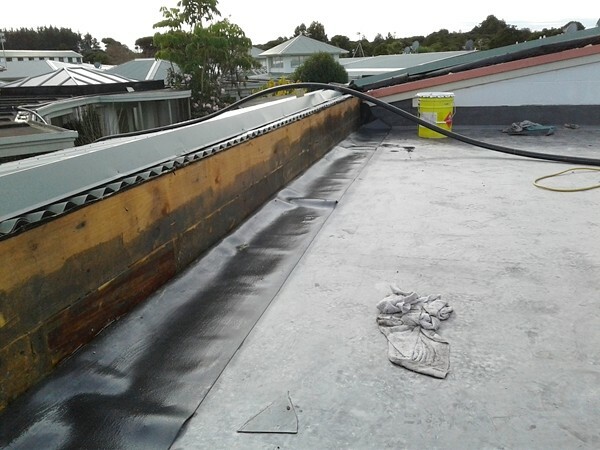 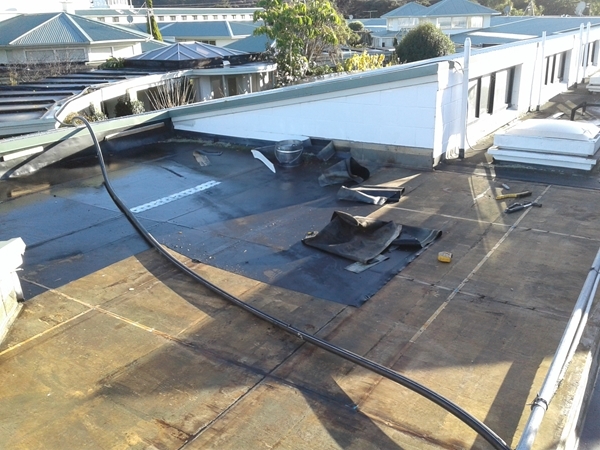 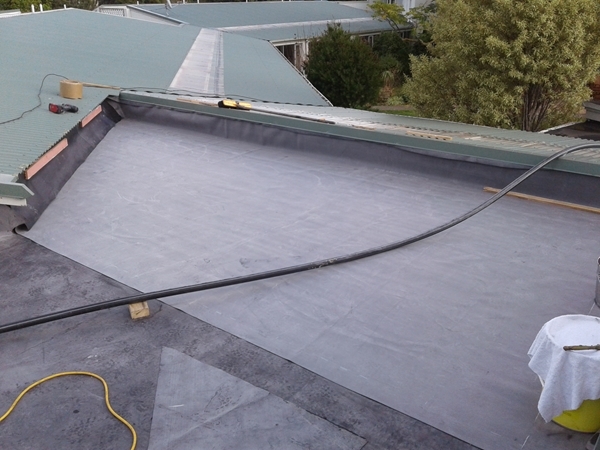 Re roof of 30 year old Butynol rubber membrane with 1.52mm thick x 3.0 metres wide Carlile EPDM (supplied by Viking Roofspec in NZ branded as Epiclad). 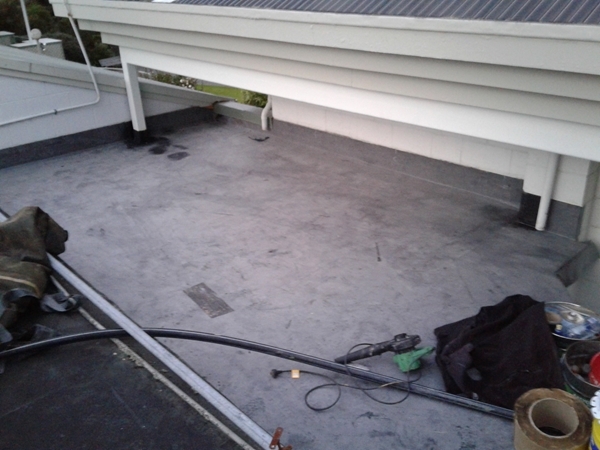 To be on the safe side the work done in 3 sections over 3 days, in case there are any substrate issues, and to keep the building rain proof during the work. 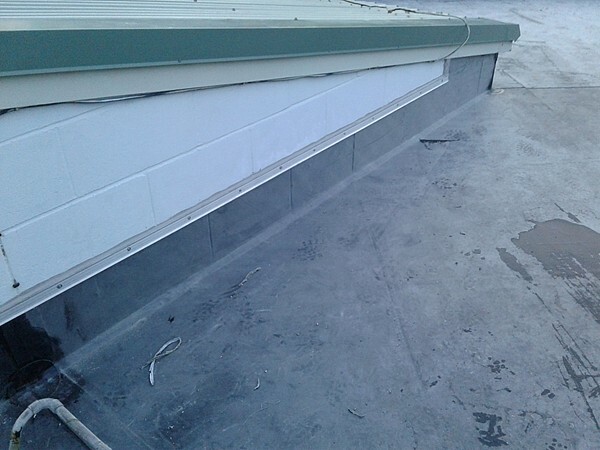 Remove cement sheet cladding on inside of parapets and wall under metal roof on upper roof level. 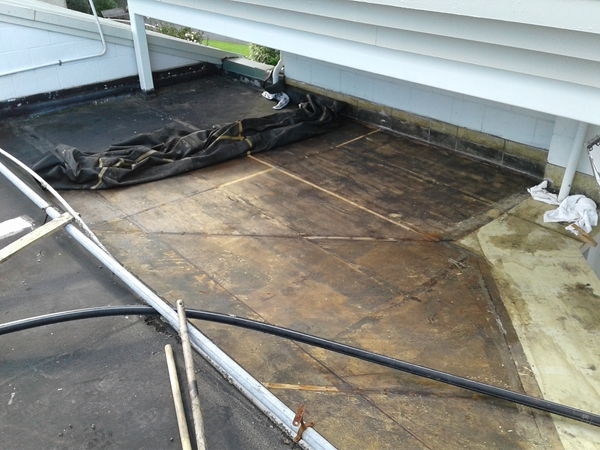 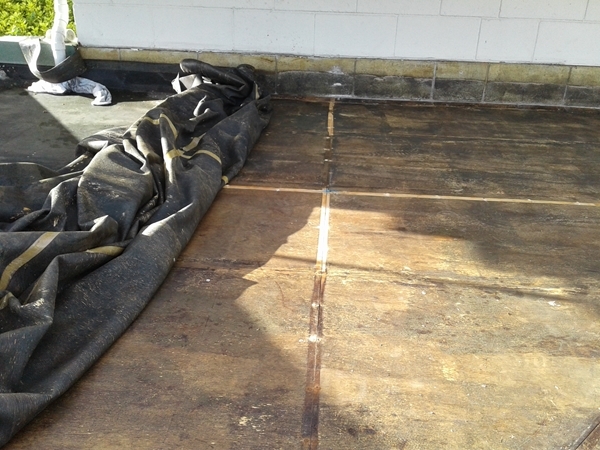 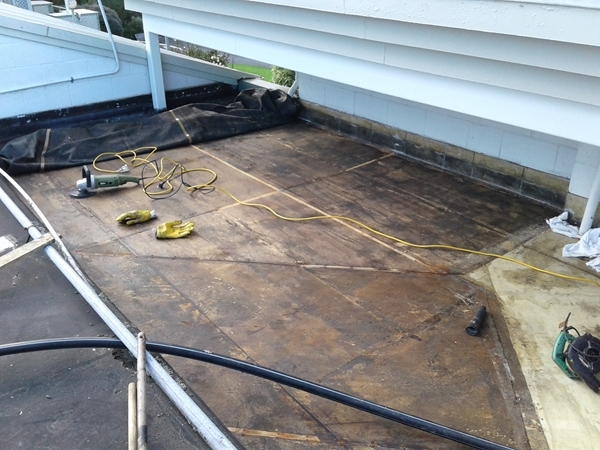 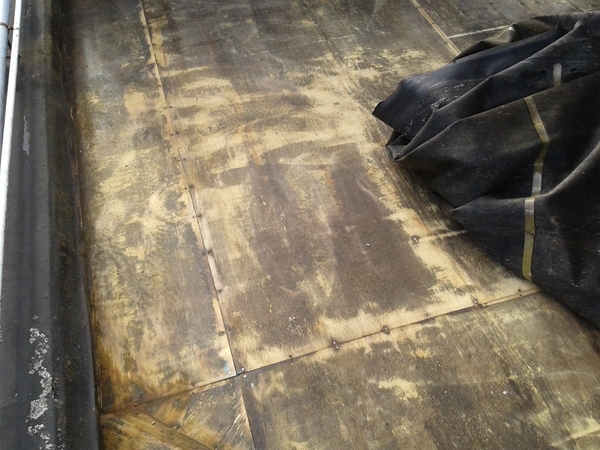 Remove existing butynol rubber membrane from plywood substrate of both levels and dispose. 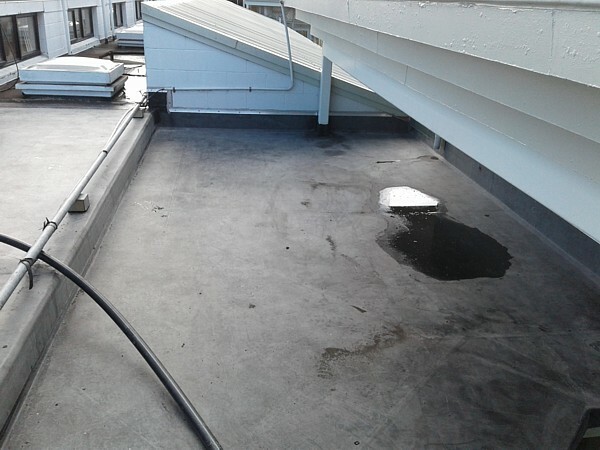 Inspect substrate for loose fixings or water damage and repair as necessary. 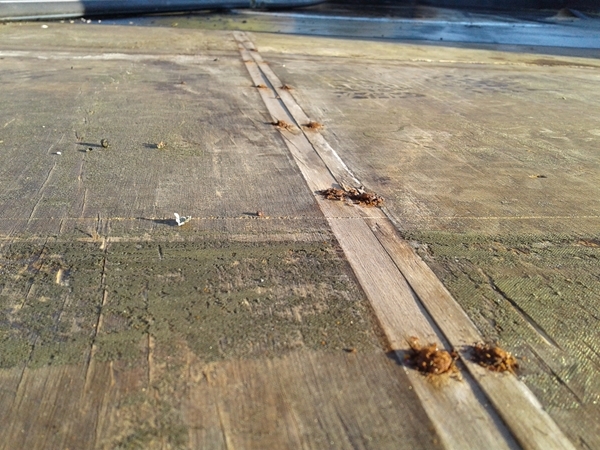 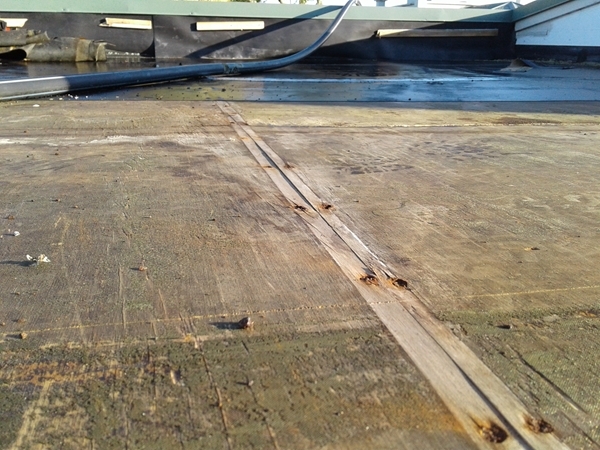 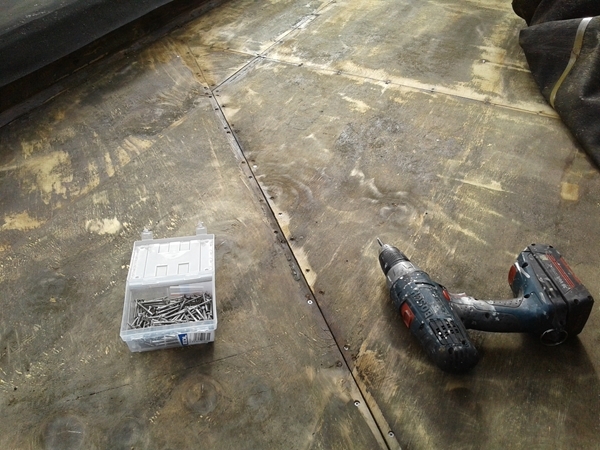 Rescrew plywood with stainless steel screws, punch in old nails and sand the existing plywood to remove sharp splinters and excess old adhesive. 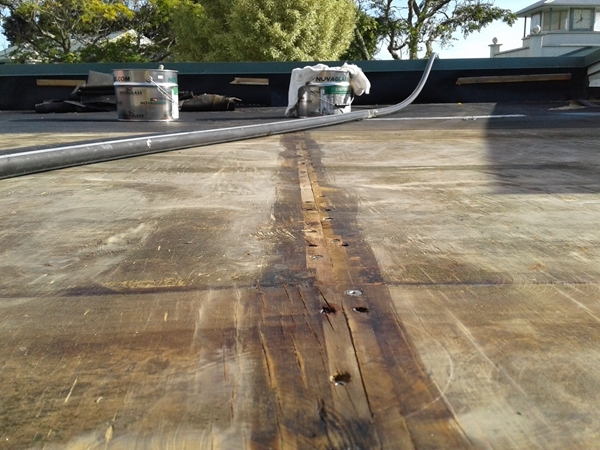 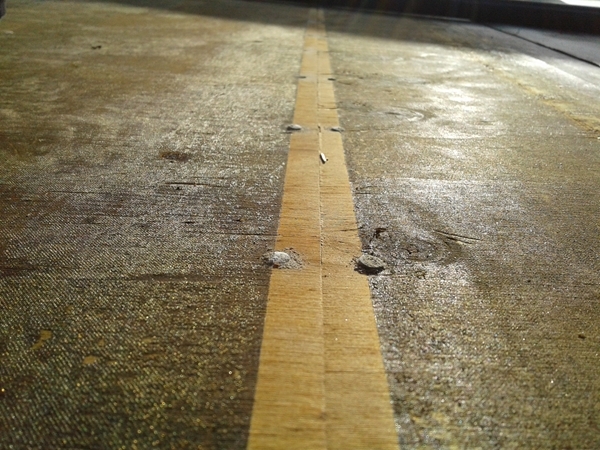 Apply new 25mm silicone joint tape over the plywood sheet joints. 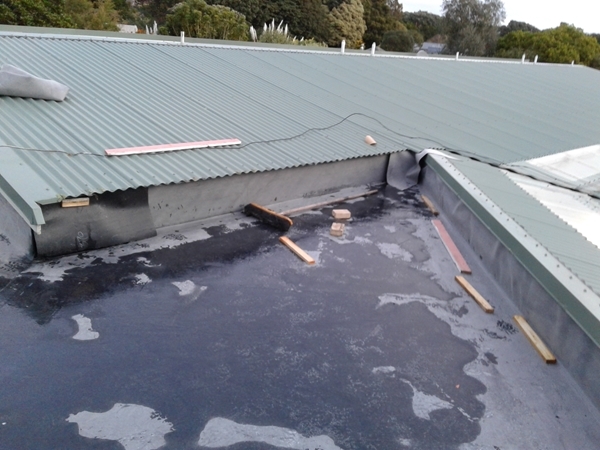 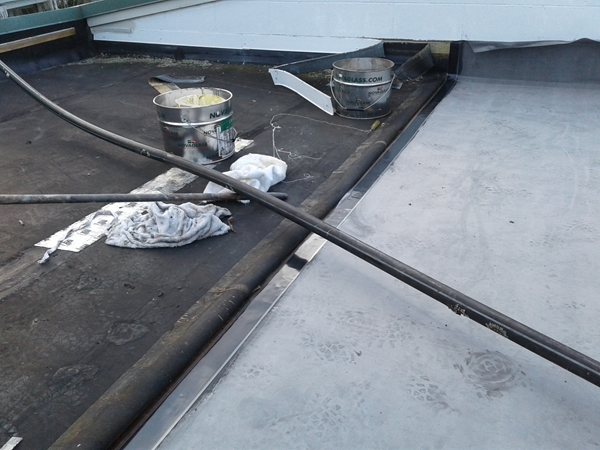 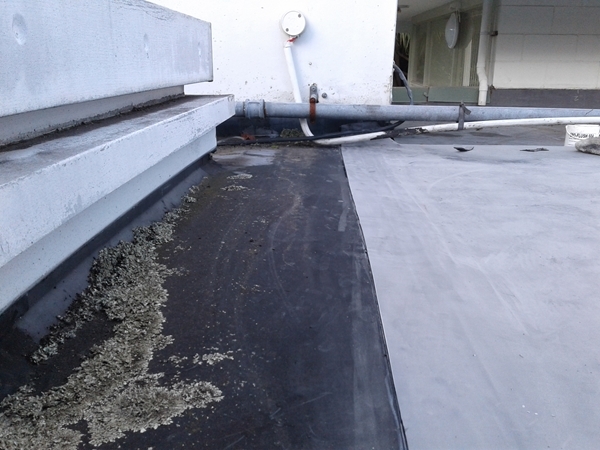 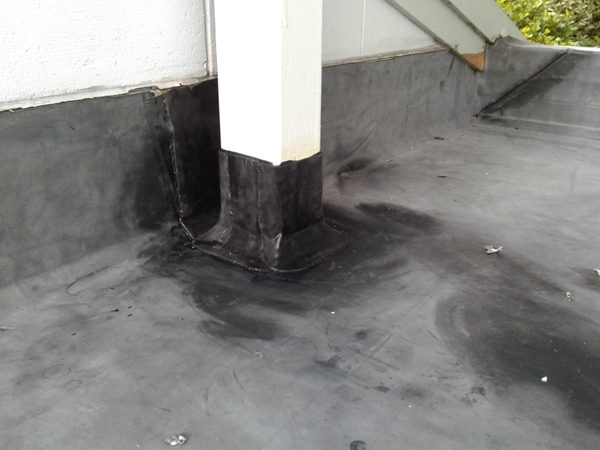 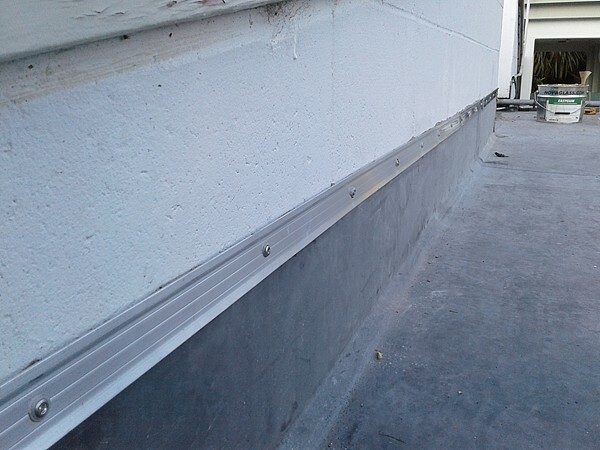 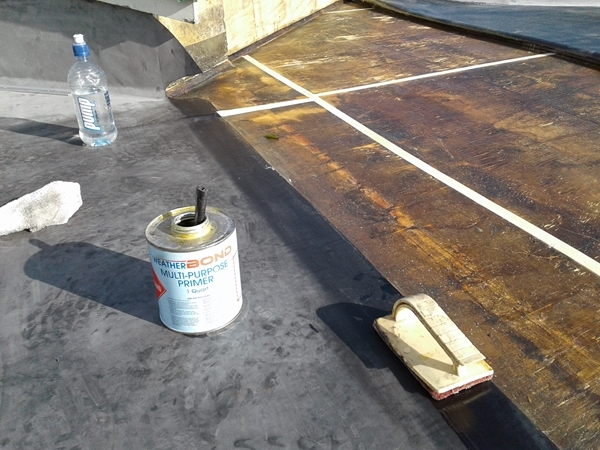 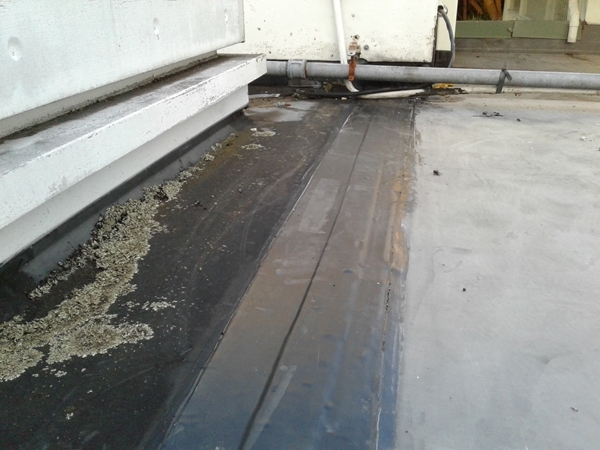 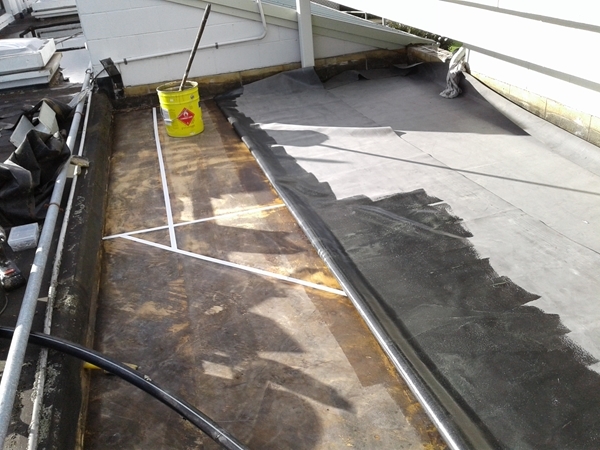 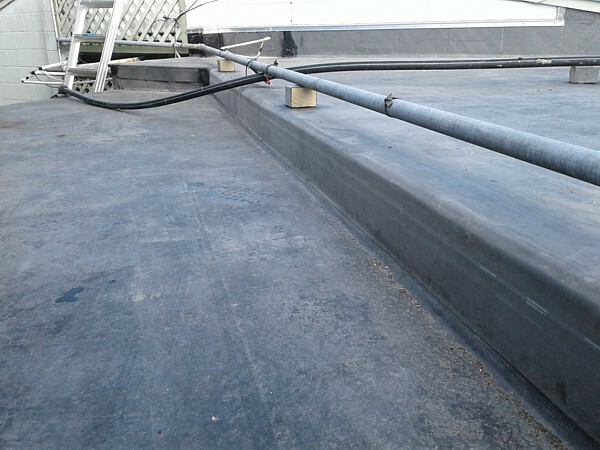 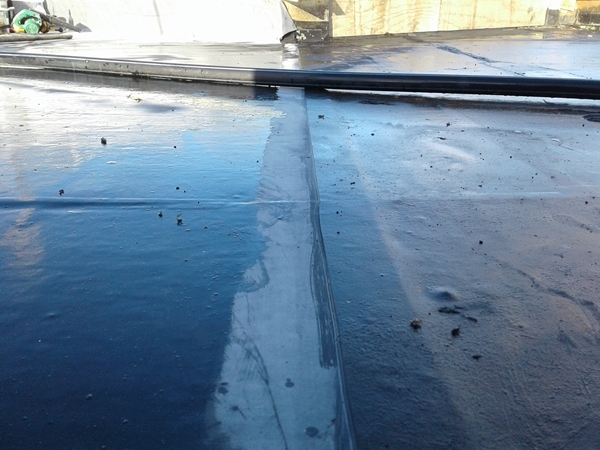 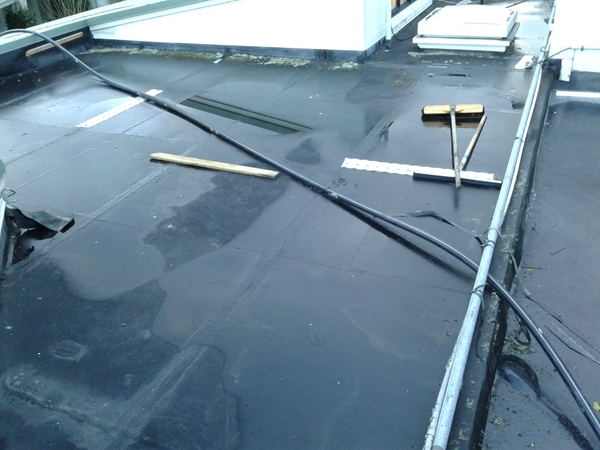 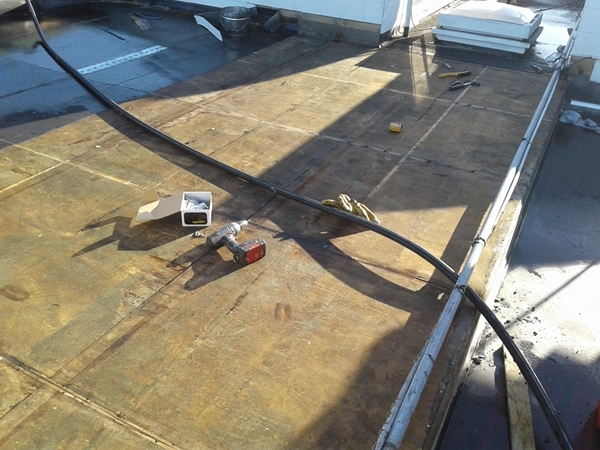 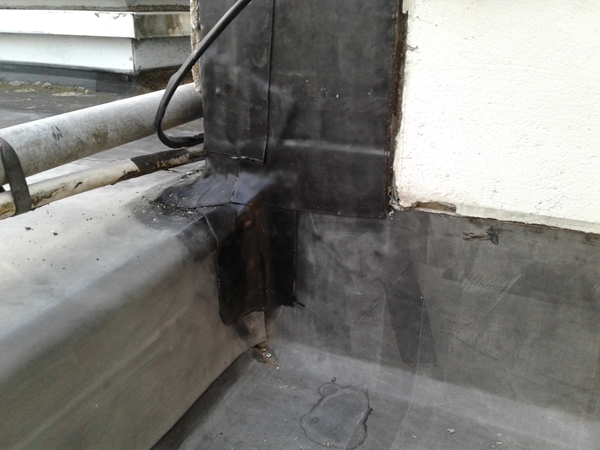 Install 1.52mm black Viking Epiclad EPDM rubber in 90-8-30A adhesive, tuck membrane edges under the existing metal roof flashings, and turn up 200mm at other walls and fix aluminium termination bar bedded in sealant to top edge. 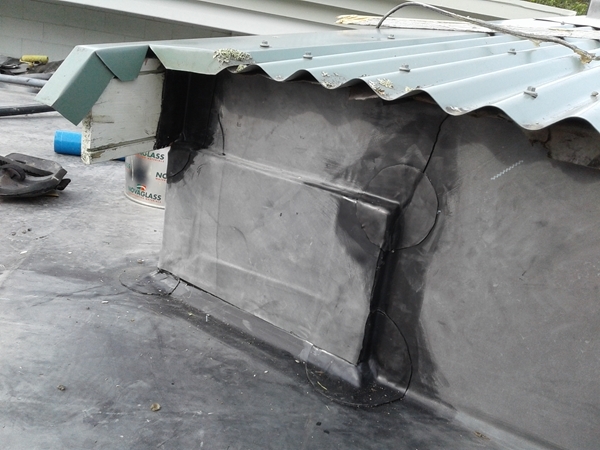 Form new collar around one post and also form a new lap tape join to the old rubber on the narrow roof with the skylights.